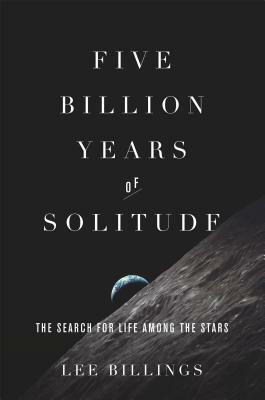 Yet as the pace of discovery quickens, an answer to the universe's greatest riddle still remains just out of reach: Is the great silence and emptiness of the cosmos a sign that we and our world are somehow singular, special, and profoundly alone, or does it just mean that we re looking for life in all the wrong places? As star-gazing scientists come closer to learning the truth, their insights are proving ever more crucial to understanding life's intricate mysteries and possibilities right here on Earth. Lee Billingsis a science journalist whosework has appeared in "Nature," "New Scientist," "Popular Mechanics," and" Scientific American. "He lives in New York. This ishis first book." "...the search for Earth-like worlds orbiting distant stars is just a step in the age-old quest to learn whether or not we are alone in the universe. In his compelling, wide-ranging survey, Billings steps back to look at this broader picture, largely through richly textured portraits of some of the giants of the field...[an] extraordinary tale of scientific discovery."